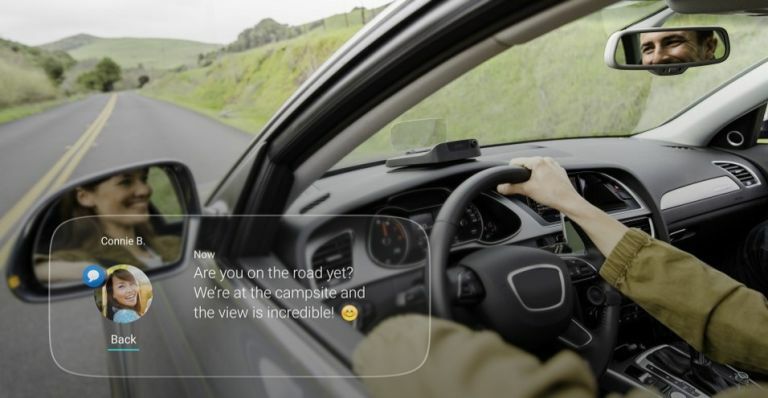 Say hello to the Navdy, a new state-of-the-art in-car heads-up-display that uses a form of augmented reality to project information as a transparent image directly in your line of sight. It features a rich, full colour, fully transparent display with unmatched clarity in any light that projects information into the distance so the road stays in focus. It uses Google Maps t power its navigation software and uses its own high precision GPS chip and local storage of maps - that way you don't have to worry about losing navigation if you're out of network coverage. The Navdy enables you to make and receive calls, listen to messages, control music, receive calendar reminders and stay connected to the apps on your phone. You can use it show your car's RPM and identify the nearest petrol station if you're running on fumes. The Navdy is available now for pre-order at Amazon.co.uk for £599. Dutch luxury phone maker Lumigon has just announced a new edition of the premium smartphone T3 in a cool Black-Black-Steel design. Said phone - which features a night vision camera, among other unique tools - now has a reinforced back for extra damage resistance. With the back made of Corning Gorilla Glass (in black, naturally), the rails forged from steel with a black PVD coating and the buttons from stainless steel, the new Black Black Steel Edition of the Lumigon T3 is one hard dog and bone. The T3 is now available for purchase at the Lumigon web shop and at selected dealers worldwide at a price starting from 645 euros (£562) for the stainless steel versions with 128 GB internal memory. The sales box also includes a stainless steel designer headset, while the exclusive series also includes a gold dock. With this year's Geneva Motor Show now in full swing (it'll run right through until 19 March), tyre giant Pirelli has taken to the show floor to present some of its latest creations - a new dynamic coloured tyre and a special pressure sensor that feeds into a bespoke app. Pirelli Connesso uses an on-board sensor in the inner wall of the tyre which sends data on pressure, temperature and load data to a receiver unit in the car. This then communicates with both a smartphone app and a cloud server, capturing that data for later inspection. The latter enables the system to offer further calculations relating to important issues such as tyre wear. Then there's the P Zero and Winter Sottozero coloured edition tyres, which offer a variety of colours outside of the usual black and a special re-inflation feature that kick in when you get a puncture. Add that to Connesso and you've got one powerful combo.